Choosing from a selection of fine fabrics including rare French laces, contemporary Italian tuiles and heritage Asian silks. Selecting a beautiful colour from am exquisite palette of white, ivories and pastels. Exploring unique hand embroideries - motifs, lines or entire sections. 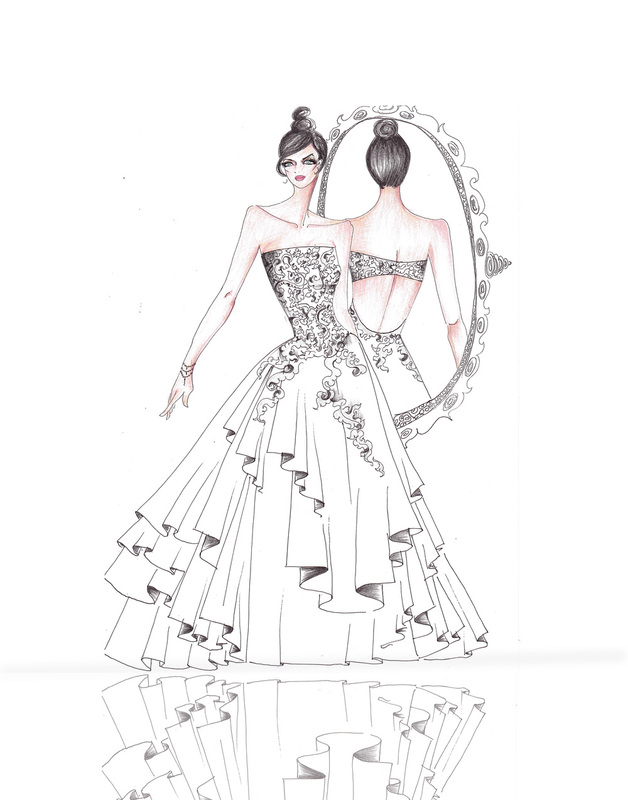 Sculpting the movement and flow through each element of the gown - the neckline, trains, pelmets and sleeves. Size and shape - creating your unique accents, including special paneling, cuts and corsetry to create the shape for you. Creativity - hand sketching options for your approval, presented along with completed fabric and embroidery swatches. A relaxed opportunity for you to explore the look and feel of your bespoke gown, to rehearse its movement and finalise any last alterations. Enhancements and perfecting the process - adding extra touches and making final tweaks.